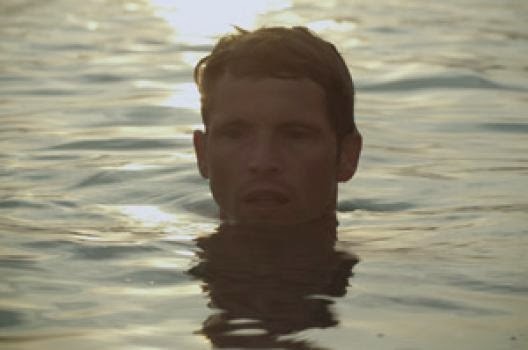 Stranger By The Lake took Cannes by storm last year, and became a sleeper hit in France in the summer, as well as on the festival circuit. It is in my top 3 of my favourite films of 2014, along side Under The Skin and The Strange Colour Of Your Body Tears, and I shall publish a glowing review within the next couple of days. The film is due to be released in the UK on the 21st of February, showing in several arthouse chains, as expected, such as Curzon and Picturehouses. Sadly there is one chain of multiplex that will not be showing it at all: Cineworld. Sadly, multiplexes are proving to be less and less adventurous with their programming nowadays, especially since the studios are now polluting more of their screens with 2D/3D versions of the same films. So it is nothing new I hear you say? Well the difference here is that Cineworld had originally put the film on their schedules for a serie of one-off screenings, before brutally cancelling them all today. So why would that be? Is it the subject of the film, its very graphic scenes of man to man action? According to its UK distributor Peccapics, the reason involved was a complaint from an anonymous competitor regarding the short window between its cinema and its VOD release. It would be a stretch to accuse Cineworld of homophobia, as the reason involved might well be true, and it has to be said that they did some one off-screenings of other graphic LGB films from Peccapics such as I Want Your Love in the past. But this is a higher profile film, and is it so hard to fathom that a Senior Executive at Cineworld might have had cold feet because of the nature of the film? We still do not know, and we won't know as the chain is doing itself no favour by keeping silent, offering no official explanation, and not responding to any of the tweets and messages on their facebook pages on the subject, showing a clear lack of social media awareness. All they have done as a result of this incident and their silence is damage their reputation. The irony of it all is that all the protest that has ensued has made Stranger By The Lake trend on Twitter today, offering is some unexpected and welcome publicity. It is probably too late to do anything as the film is due for a VOD release early March but all the same, I implore you to do as I did, and to get in touch with Cineworld on Twitter and Facebook, and by filling their customer care form on their website. With a bit more pressure we might finally receive a statement, and who knows, make them reconsider their position. It has now emerged that Cineworld has backtracked, and the Stranger By The Lake screenings are back, although at different times than originally planned. We will never know what really happened, and the original excuse of the complaint from another distributor might well be true. But it could also be that the very ill-advised and last minute decision to pull them spectacularly backfired thanks to the powers of social medias. It does sound suspicious still that the whole thing would have been resolved late in the evening yesterday, so it is probably most of a hasty retreat due to the unexpected backlash which ensued. Power to the people!